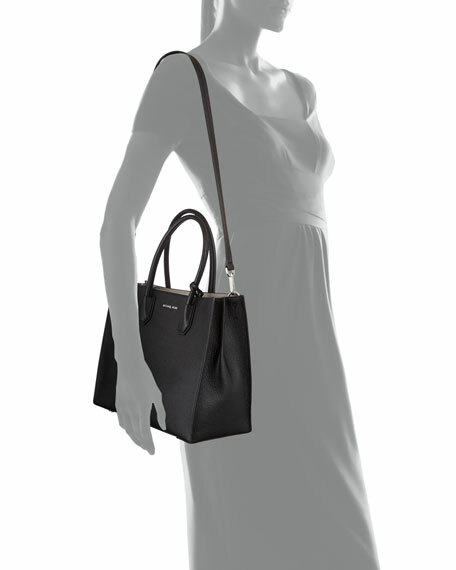 MICHAEL Michael Kors large pebbled leather tote bag with silvertone hardware. Rolled tote handles anchored at base, 6.5" drop. 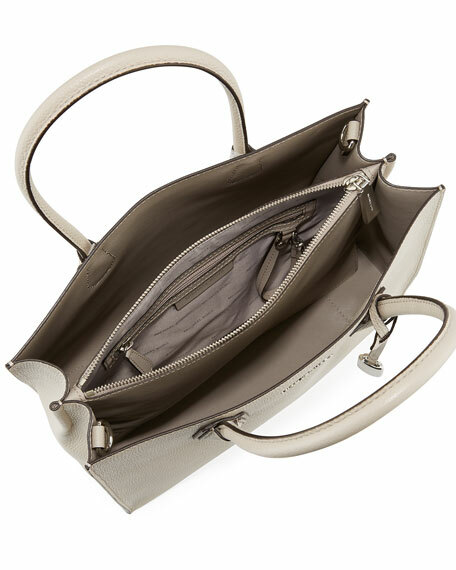 Open top; large center zip compartment. Exterior, logo lettering at center top. Interior, one zip; two slip pockets. 8.5"H x 10.3"W x 5"D.
For in-store inquiries, use sku #2100249.